Malnutrition, defined as "lack of proper nutrition," may be caused by any of a number of factors. These include consuming too little food, too much food, an inability to absorb nutrients, or by an imbalance in your nutrient status for any reason. Kwashiorkor is a form of malnutrition which is associated with sudden nutrient deficiency, such as what happens when a mother weans one child to begin feeding another. Its name comes from a word in the language of Ghana related to childbirth. In underdeveloped countries or poverty stricken areas of developed countries, the weaned child will often receive a far less adequate diet than when it was feeding on the nutrient-dense breast milk, resulting in protein deficiency. Kwashiorkor is often the culprit in those heart-wrenching photos of children with distended bellies that are used to encourage donations to world hunger relief organizations. The disruption of the child’s fluid balance and a susceptibility to bacterial growth, infections and infestations, due to protein deficiency causes the swollen belly. Their liver may also be affected since they lack the protein transporters to carry the lipids out of the liver and to make the enzymes needed for liver detoxification. Marasmus occurs due to food deprivation over an extended period of time. It is most common in infants and is a case of the child literally starving to death. The word comes from the Greek for "dying away," which is exactly what happens to a child stricken with this serious condition. It is common in underdeveloped parts of the world, particularly in Africa, Asia and South America. It is associated with extreme poverty where mother and child have limited access to nourishing food. The hallmark of a child with marasmus is a lack of flesh covering their bones and spindly arms and legs. Due to protein deficiency, the muscles waste away, including the heart muscle, causing weakness and eventually death. The effects of food deprivation malnutrition can be reversed, if intervention occurs before too much damage has been done. In severe cases, it requires careful introduction of nutritious food, in small amounts at first, until the patient is sufficiently recovered to handle larger servings. Organizations all over the world are working hard every day to help children at risk of protein deficiency malnutrion to have a chance at a healthy life. If you would like to help feed the hungry, click on this link. Bright Hope International is an organization dedicated to helping to alleviate the suffering of the world's poorest children. Most people do not think of obesity as "malnutrition." However, since that term refers to any departure from a healthy nutritional status, eating too much, especially of the wrong type of food would apply. In addition, although it may take longer than undernutrition, obesity will lead to health problems and even an early death. One way to measure obesity is by measuring BMI or Body Mass Index. This number is a simple ratio of height and weight and although it has its limitations, it can be a useful tool for most people. Click here for more information about BMI. That the issue of weight control has become serious in the U.S. is without question. It is estimated that over 60% of adults in the U.S. are overweight or obese, with 9 million of them being morbidly obese—the term used when a person is more than 50% above their desirable weight and when serious health effects can result. Childhood obesity is on the rise and may greatly affect the health and longevity of the next generation of adults. As a result, there has been a rise in the incidence of diabetes, heart disease, joint inflammation, and even certain types of cancer that appear to be linked to obesity. Click here for more information on healthy Weight Loss. Although obesity, especially in children, is a serious health problem, at the other end of the spectrum, are those who suffer from eating disorders. This includes those who have adopted a near-starvation lifestyle due to a serious condition known as anorexia nervosa, as well as those who have a related condition called bulimia nervosa. Anorexia nervosa is an eating disorder characterized by a distorted body image that results in self-starvation and can lead to malnutrition and even death. This disorder is particularly prevalent among teenage girls, although it does affect boys and adults to a lesser degree. -A distorted body image such as thinking they are fat, when they are not. -Amenorrhea, which is missing period at least three months in a row. Keep in mind that Anorexia Nervosa is a very serious disorder and just like other forms of malnutrition, it can result in death. Bulimia Nervosa is an eating disorder characterized by episodes of binge eating followed by self-induced vomiting, use of laxatives, excessive exercising to burn calories, or fasting. Like anorexia nervosa, this condition can lead to malnutrition and serious health problems. It is much more common and affects more men than anorexia nervosa, but it still is most prevalent among women. Although anorexia nervosa may include some behaviors that are also a part of bulimia nervosa, they are two distinct disorders. Each case of anorexia nervosa or bulimia nervosa is unique, and must be handled on an individual basis. Since eating disorders are complex, involving physical, mental and emotional factors, treatment must be a cooperative effort between physicians, therapists and family who can address each of these areas. The weight loss has to be addressed, especially if it has reached a dangerous level, and at the same time, the underlying emotional issues must be understood. 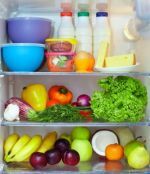 Severe cases of malnutrition are usually associated with poverty and starvation, but it can also occur to a lesser degree in the midst of a plentiful food supply, if you habitually make poor choices. Eating junk food or empty calories and failing to include nutrient dense foods in your diet can result in deficiencies of important vitamins, minerals, protein and fats that you need to be healthy. The elderly are susceptible to malnutrition both from lack of accessibility to nutritious foods as a result of poverty or immobility, and because the body becomes less efficient at absorbing nutrients as we age, making healthy food choices even more critical during this stage of life. In addition, although there are some great elder care residences, many institutions where the elderly reside are more interested in their bottom line than in providing a high quality diet to their residents. The problem of malnutrition is not going to go away any time soon, but there are some things you can do. For yourself and your family, become educated about the foods you need to be healthy. Include a majority of fresh, whole foods in your diet with emphasis on fruits and vegetables, good carbs, healthy fats and lean proteins. Become aware of serving sizes so that you can avoid the malnutrition of obesity. At the same time, you can help alleviate the suffering caused by malnutrition. Find an organization that feeds the hungry, either locally, globally or both, and share some of your resources with those who are hungry. Even a little bit will help. It will nourish the hungry and, at the same time, it will nourish your spirit! If you are a non-profit organization whose focus is to feed the hungry, let us know, and we may include a link to your website in our pages. Click here to go from Malnutrition page to Nutrition page.